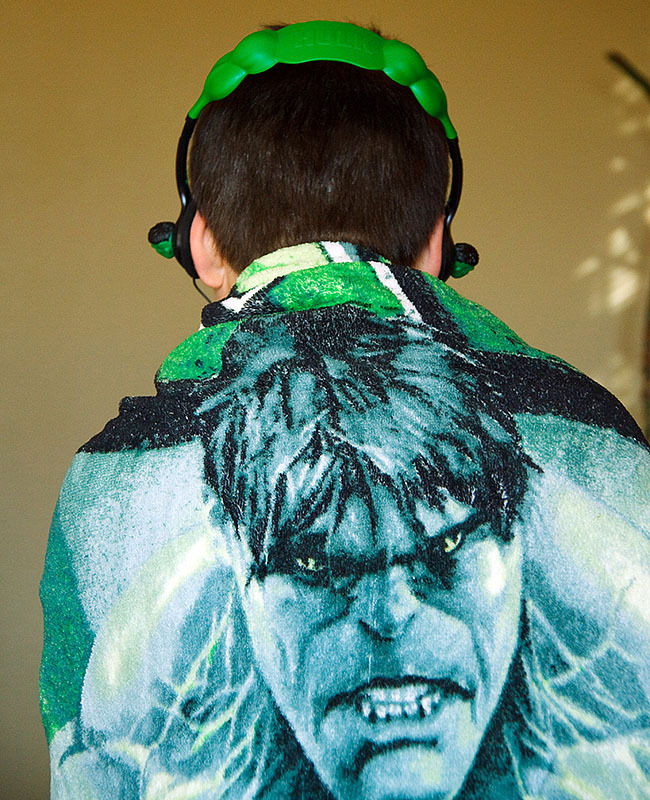 So for Valentine's Day, 2010, my romantic wife got me something snuggly to keep me warm - a Hulk Blanket! 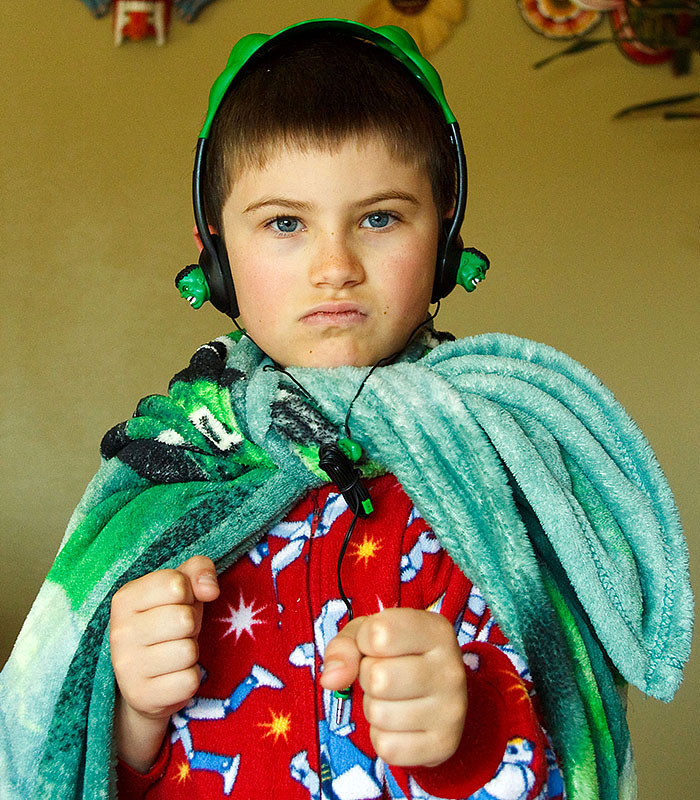 Here's a few pictures of Kyle modelling it ... along with another incredibly thoughtful gift - Hulk Headphones! 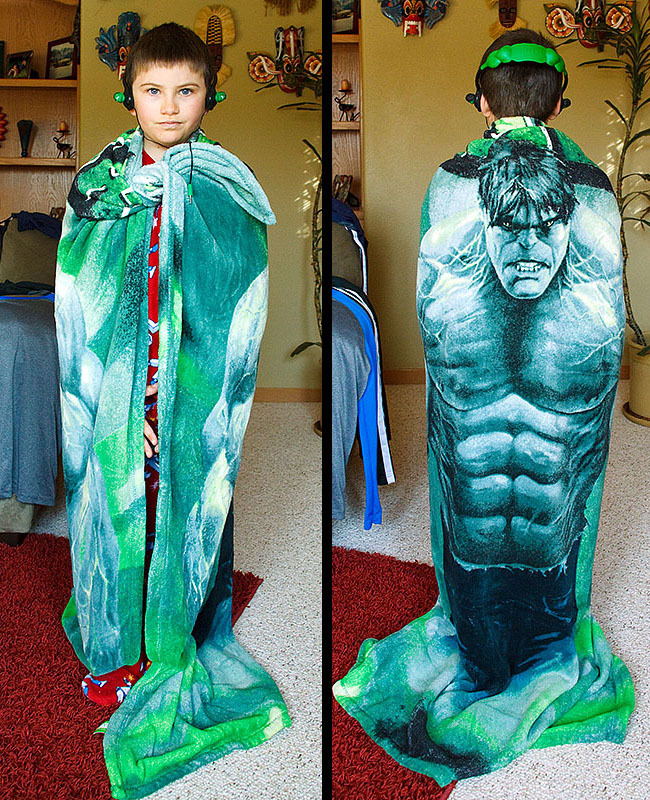 Kyle does NOT look like a Puny Human in his Hulk Blanket! 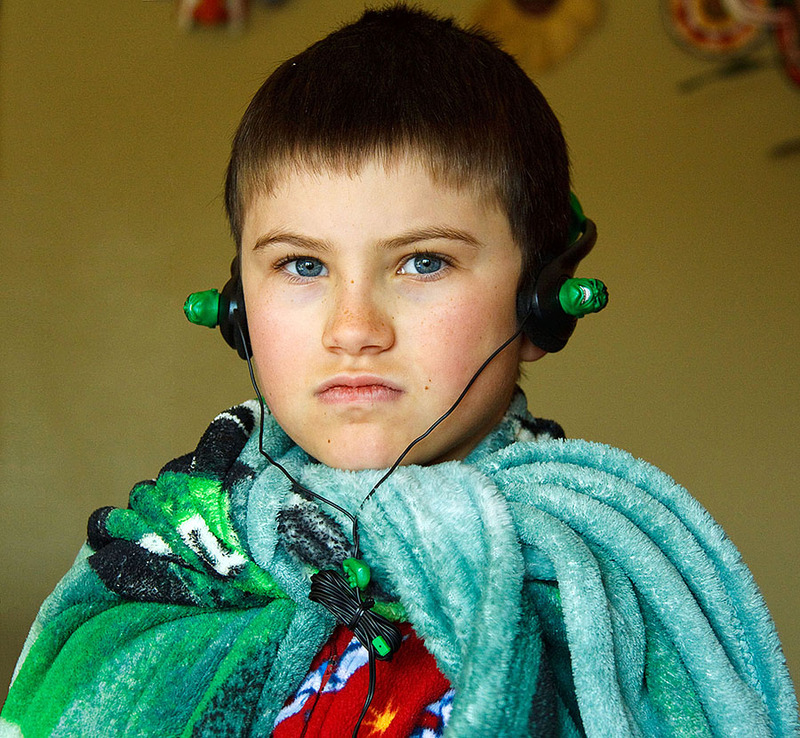 Hulk Headphones are a styling accessory with the Hulk Blanket! 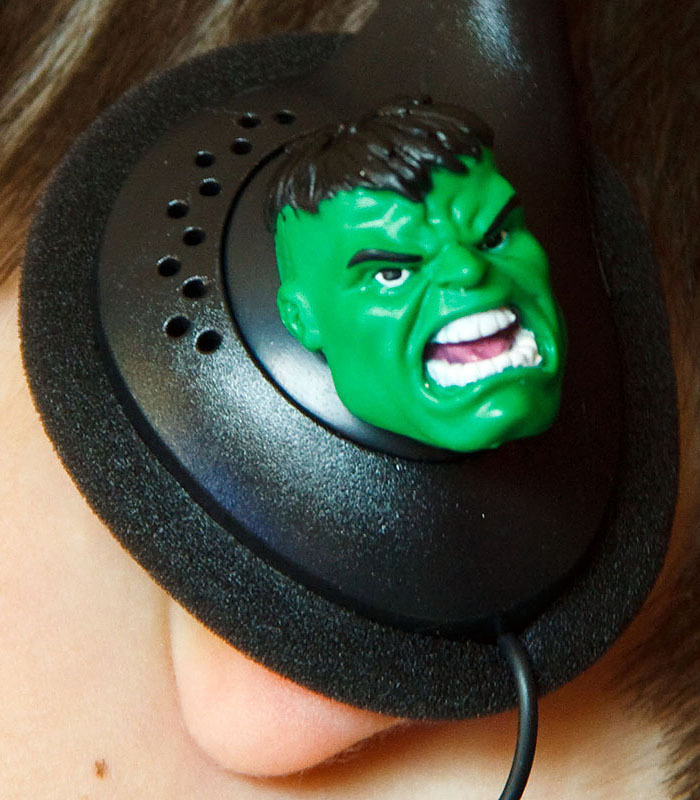 Back to more Hulk Stuff.